Caesar’s Appliance Service has been providing Same Day Appliance Repair service, quality used appliances and appliance parts to Orange County California residents since way back in 1970! We offer everything from reliable refrigerator and ice maker repair to fast oven repair Laguna Niguel and surrounding areas. Since day 1, our main goal at Caesar’s Appliance Service has been to provide old-fashioned customer service while keeping our skills updated on the latest technology of today. From the old days when Mom’s Kenmore washer needed a lid switch replacement, to now when a Samsung refrigerator repair calls for a new main control board installation, our factory trained technician’s main goal is to get your broken appliance repaired ASAP! At Caesar’s Appliance Repair Services, we understand that a refrigerator not cooling or a dryer not heating is a major problem to families trying to run a household! That’s why our appliance repair Orange County technicians provide fast service to get you up and running asap! We provide appliance repair in Laguna Niguel, Dana Point, Lake Forest, Mission Viejo, Anaheim, and all throughout Orange County. With this in mind, our service trucks are stocked with HUNDREDS of commonly used parts, so most of our appliance repairs are completed on the very same day you call us! Decide to not move forward with the repair? No problem! We apply half the service call to a new or refurbished appliance. Huge Selection of Used Appliances - WE DELIVER & INSTALL! Used Appliance Store in Orange County – If it can’t be repaired, buy used! We also sell Open Box Appliances! 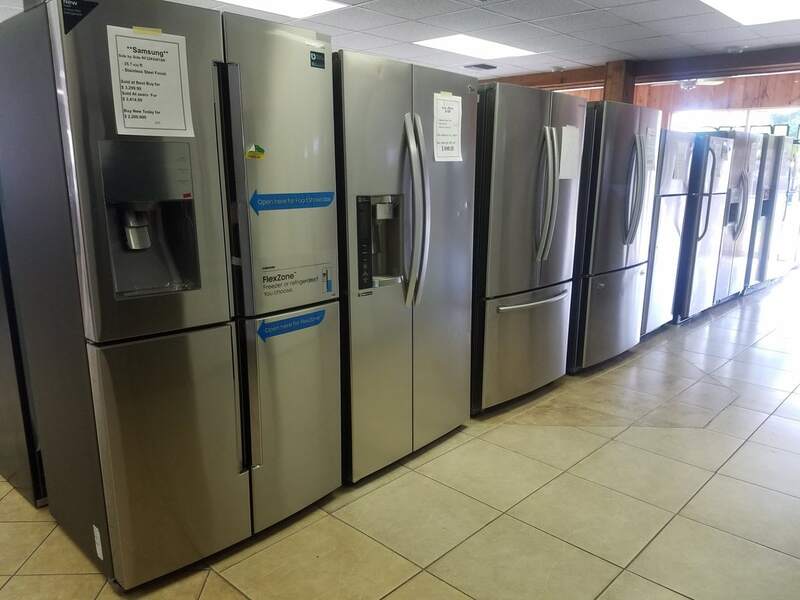 Looking for a Used Appliance Store with a nice selection of quality used appliances? Caesar’s new showroom stocks a great selection of reconditioned appliances as well as carries THOUSANDS of new appliance parts. We deliver anywhere in Orange County! Why Buy New? 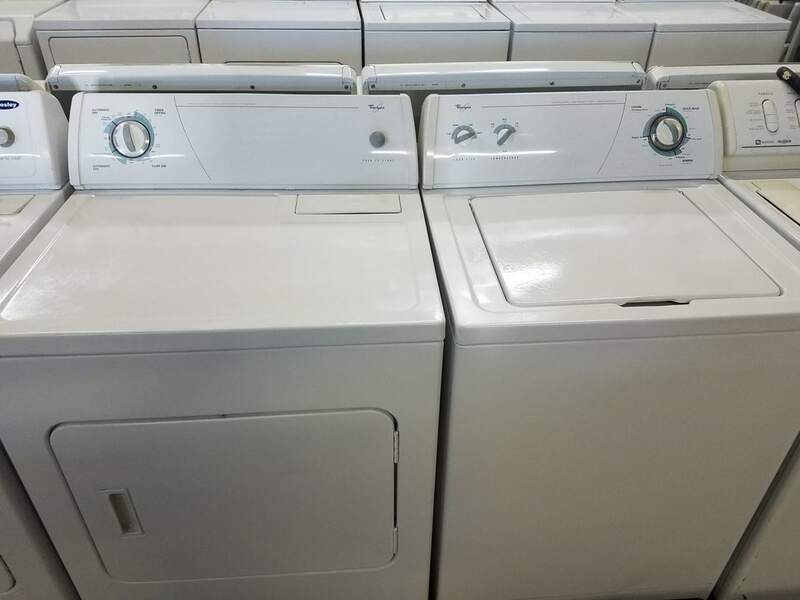 Get HUGE Savings on Like-New Used Appliances. 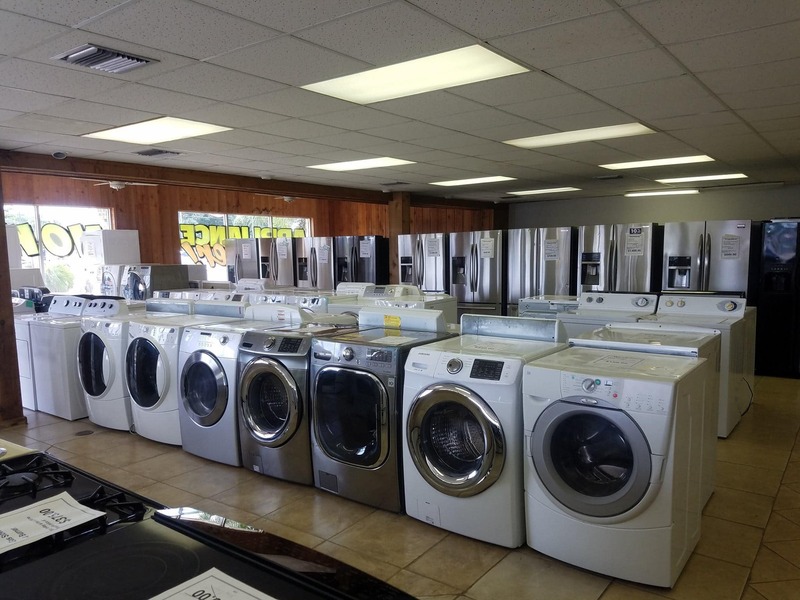 Whether you’re looking for DIY appliance repair parts, or to buy a nice set of 100% refurbished, clean, used appliances, from our showroom, give your friends at Caeser’s Appliance Service a call! With almost 50 years in business in Laguna Niguel, California, we continue to be THE Trusted Name in Orange County! We’ve been located in Laguna Niguel since 1970! We provide appliance repair service in Orange County. See our service area and used appliance store locations here. Whether you need fast ice maker repair, affordable LG appliance repair, or quality used appliances and parts, we can help. Caesar’s Appliance Repair technicians are factory trained on all brands of appliances! From familiar brands like Sears, Kenmore, Frigidaire, Maytag and Whirlpool appliance repair Laguna Niguel Service to newer brands like Samsung, LG, we’ve got you covered. We also offer quality GE Profile, KitchenAid built in and Sub-Zero refrigerator repair Laguna Niguel and surrounding area service. Ready to schedule San Juan Capistrano oven repair, ice maker repair Laguna Niguel service, appliance repair Mission Viejo or anything else in between? Give us a call today, and we’ll get you back up and running in no time!